Surprisingly, the Triangle has the third largest concentration of Modernist homes in the country, after Los Angeles and Chicago. So many modern houses were built in the area because of the School of Design at North Carolina State University. The founding dean of the school, Henry L. Kamphoefner, recruited internationally recognized architects and modern designers to come to Raleigh. For more information about modernist homes in North Carolina, check out North Carolina Modernist Houses, a nonprofit dedicated to documenting, preserving, and promoting Modernist houses. If you’re interested in designing a Modernist home, a list of local architects can be found through NC Modernist Houses as well. Please scroll down if you are looking for Modernist homes for sale across the Triangle, including Durham, Chapel Hill, Raleigh, and more. 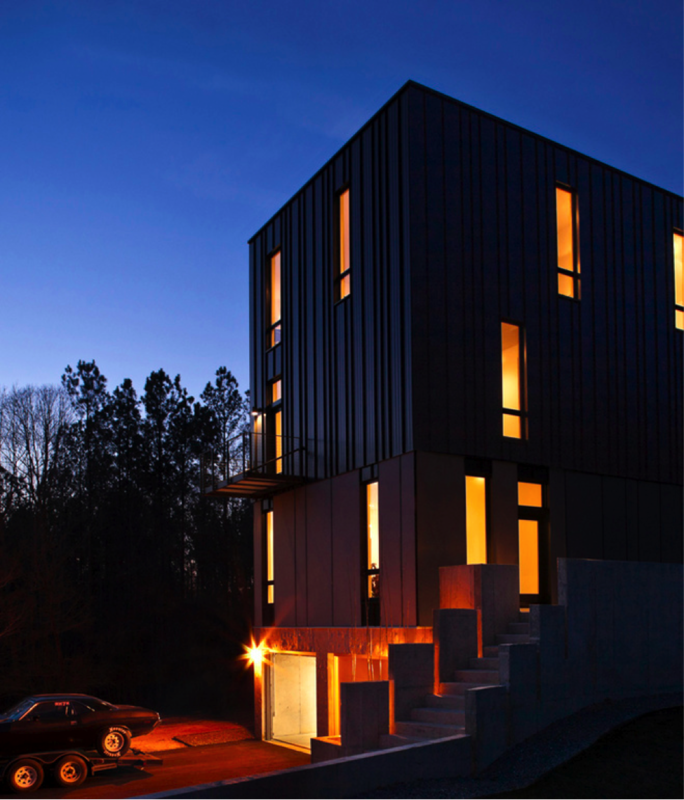 The Rank residence: A “Modern Gothic” house designed by Tonic Design, a Raleigh company (source: http://www.tonic-design.com/rank-residence-2/). Primarily, modern homes are meant to simplify the living space. Modernist houses are characterized by their sleek designs, open floor plans, and the use of windows to connect the inside of the home with the outdoors. Other features include: straight and angled lines; flat roofs; and materials like metal, concrete, and stone. The Modernist style is distinguished from Contemporary architecture, which features more wood and vaulted ceilings. 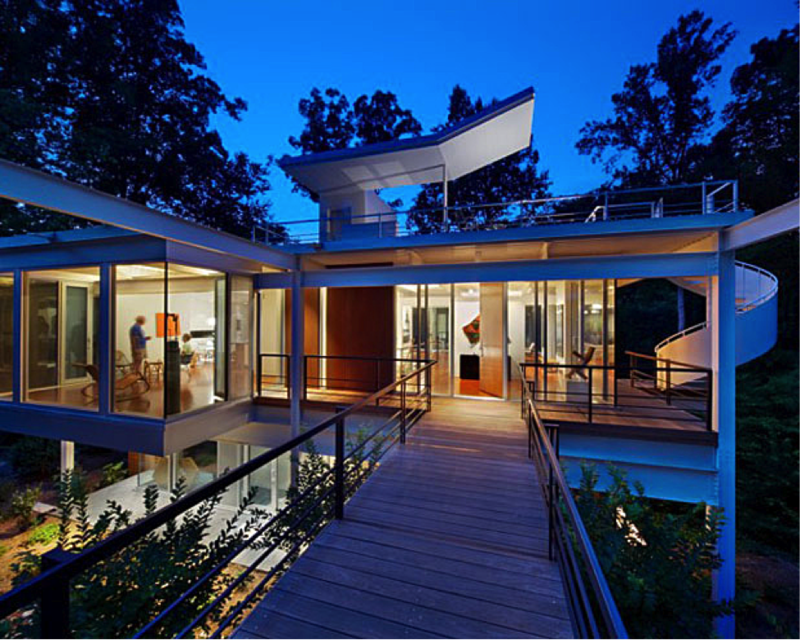 Modern home architecture first began in the early twentieth century, and gained popularity after World War II. Frank Lloyd Wright designed one of the first modern-style houses, the Fallingwater house, pictured below. 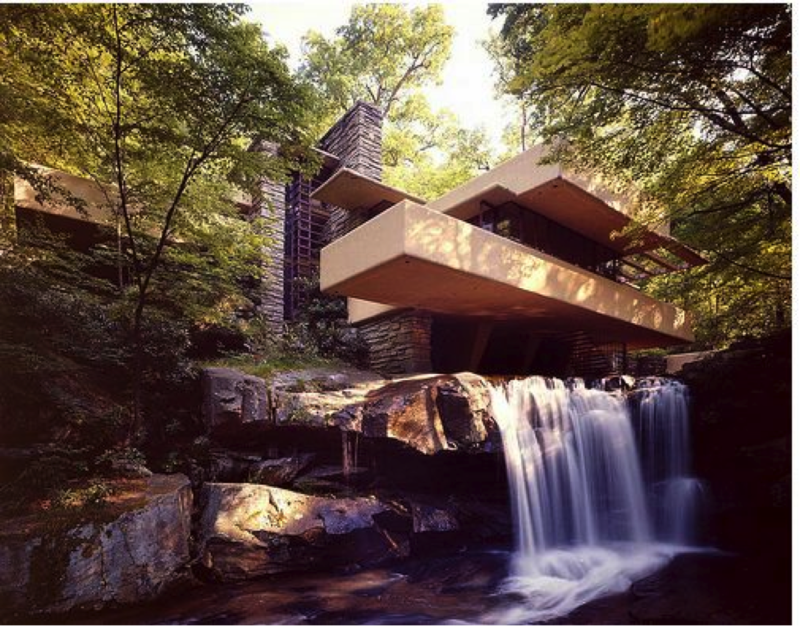 Wright’s Fallingwater House (source: http://www.archdaily.com/60022/ad-classics-fallingwater-frank-lloyd-wright/). Below is a complete list of Modernist homes for sale in Raleigh, Durham, Chapel Hill, and the rest of the Triangle. Please feel free to Contact Us if you have any questions.